Perfect for baby gifts! Our Baby Gift Basket is filled with two handmade bean bag chickens and two bars of Steele Family Farm Handcrafted Goat Milk Soap. Basket includes one bar of Goatmeal Honey and one bar of Castile Soap. Both bars are gentle for baby’s skin. Please specify on your order form in the order notes section at checkout if you would like your bean bag chickens for a baby girl, baby boy or in unisex colors. We can also include a gift note with your order, just let us know what you would like it to say. Perfect for baby gifts! 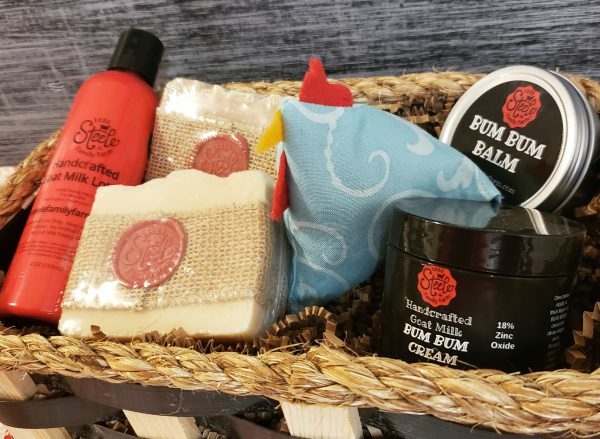 Our Baby Gift Basket is filled with our Bum Bum Cream, Bum Bum Balm, a bottle of Fragrance-Free Handcrafted Goat Milk Lotion, one handmade bean bag chicken and two bars of Steele Family Farm Handcrafted Goat Milk Soap. Basket includes a bar of Goatmeal Honey and one bar of Castile Soap. Both bars are gentle for baby’s skin. Please specify on your order form in the order notes section at check out if would like your bean bag chickens for a baby girl, baby boy or in unisex colors. We can also include a gift note with your order, just let us know what you would like it to say. Our Castile soap is true to its name. Castile soap’s origins are traced back to the Castile region of Spain. Traditional Castile soap is made solely from olive oil as is ours. 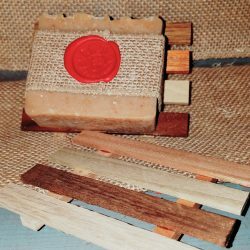 Castile soap is a very versatile soap. 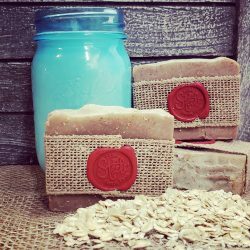 It is a very gentle soap that can be used by people with the most sensitive skin and also makes for a wonderful shampoo bar. 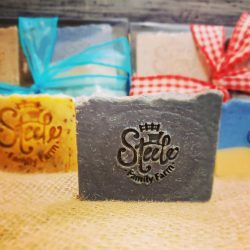 No need for conditioner when you Castile soap because all of the glycerin that is naturally occurring in the soap is all retained, unlike commercial soaps. Glycerin is commonly removed from commercial soaps to be used in other moisturizing products like lotion. Finely ground oats act as an exfoliant to soften and smooth rough skin. Honey is added as an emollient to help the skin retain moisture. Our BUM BUM BALM is made using natural ingredients and topped off with goat milk taking advantage of its natural healing properties. Our BUM BUM CREAM is made using natural ingredients and topped off with goat milk taking advantage of the natural healing properties. Our BUM BUM Cream contains 18% Zinc Oxide and 18% Bentonite Clay to provide a protective barrier against moisture and the two work together to heal rashes.